Multi function black retractable pen, highlighter, and stylus all in one easy and intuitive device. 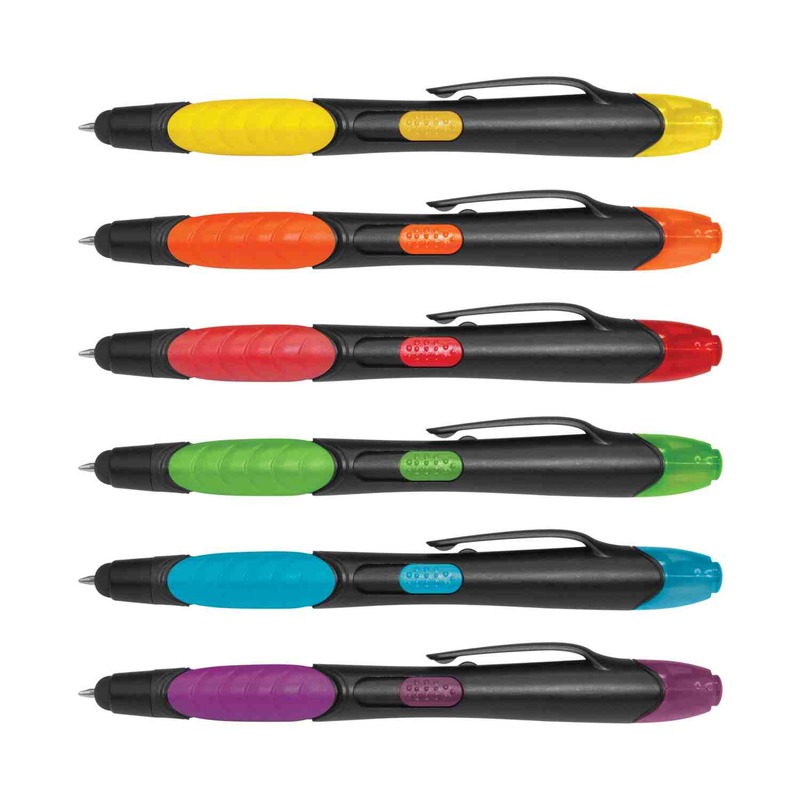 Unleash your creativity with this retractable plastic ball pen. It features a beautiful black barrel, a soft rubber grip, a stylus for use with touch screens and a highlighter. The highlighter colour matches the cap colour except for the red cap which has a pink highlighter. 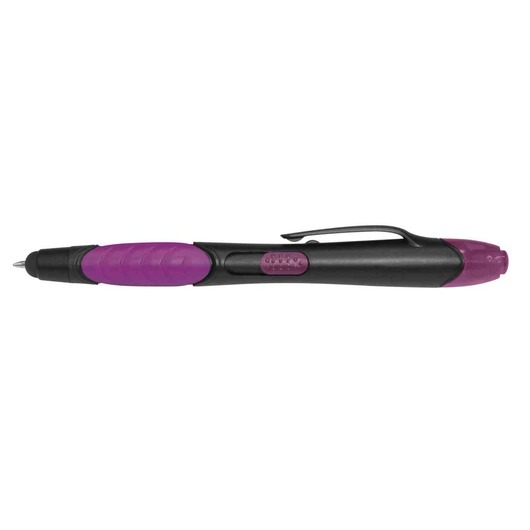 It has a black refill with 400 metres of ink and a tungsten carbide ball for improved writing quality.